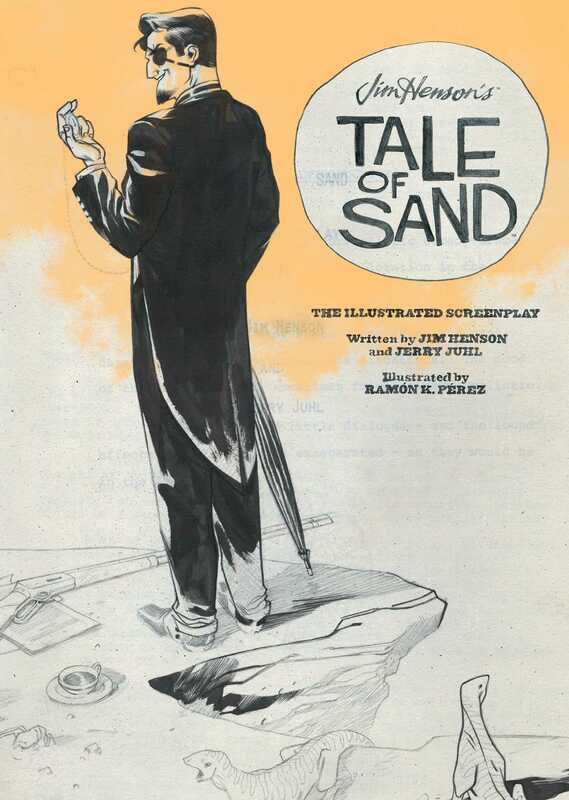 The lost screenplay that inspired Archaia's Eisner winning Jim Henson's The Tale of Sand. Between 1967 and 1974, Jim Henson and his longtime writing partner Jerry Juhl developed three drafts of a screenplay for a feature length film called Tale of Sand. It is the only feature length screenplay written by Jim Henson that he was never able to produce in his lifetime. In 2012, Archaia published a graphic novel adaptation as realized by illustrator Ramón K Pérez which went on to win three Eisner Awards and two Harvey Awards. This is an incredible and unfiltered look behind the curtain at how Ramón K Pérez took Jim Henson and Jerry Juhl’s original 76-page screenplay and turned it into one of the most critically acclaimed graphic novels of the last decade. Pages of black-and-white artwork, layouts and the complete original screenplay make this a must-have for Henson fans, artists, and fans of the creative process. This beautiful hardcover features the final draft of the screenplay and 9 all new black-and-white pages illustrated by Ramón K Pérez that were cut during the production process of the original graphic novel. It also contains 19 of Ramón’s original inked pages from the graphic novel and 16 pages of layouts, plus never-before-seen drawings and artifacts created by Jim Henson from the Jim Henson Archives.